Attorney Boaz Arzi, representing the Regavim movement which works to ensure legal, responsible and enviromentally friendly use of Israel's national lands, has called for a reorganization in the Civil Administration. 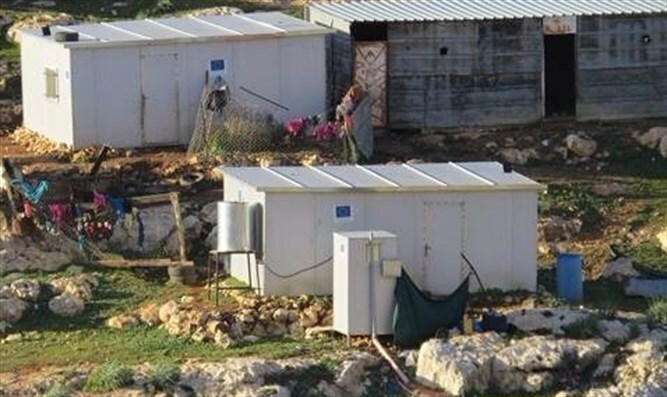 In an interview with Arutz Sheva, Arzi said that "the reality is that there is clear discrimination in the way building laws are enforced when the building's owners are Israeli and the way they are enforced for Arabs." "The CIvil Administration does not destroy illegal buildings in Arab towns. They have been accumulating for years and are all over Judea and Samaria. In Area C alone, there are 20,000 illegal Arab buildings." Area C is the only area of Judea and Samaria where Jews are allowed to live. Area A is under Palestinian Authority (PA) control, and Area B is under IDF military control but otherwise governed by the PA . Israeli does not permit Israelis to enter Areas A and B due to the danger to life involved and there are large red signs warning Israeli drivers at any intersection that leads to those areas. Arabs living in areas A,B and C, in contrast to the Arabs who have Israeli citizenship, must acquire permits and are then allowed entry to pre-1967 Israel on a regular basis to shop, work, or be treated at Israeli hospitals, for example. "There are areas in which this issue has already become catastrophic," Arzi said. 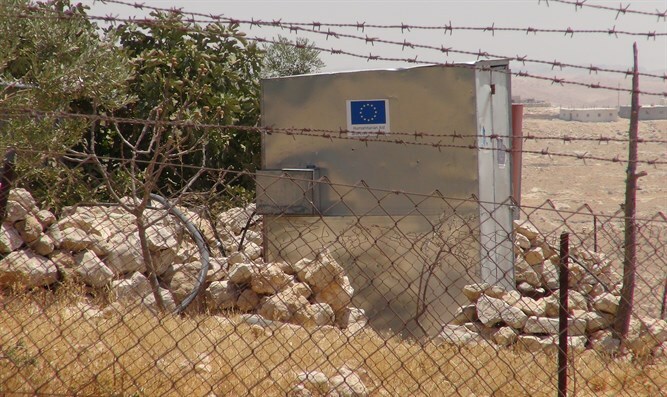 "There are IDF firing ranges near the southern Hevron mountains, where the Civil Administration announced that it will not enforce the law regarding illegal building. We expect the court to stop this discriminatory and illegal policy. Disregarding the law and not enforcing it for certain populations is simply scandalous." Arzi also spoke about the Bedouin takeover of government lands near Maaleh Adumim. "The Palestinian Authority, the left, and foreign organizations, build there intentionally. There, too, they are taking over the land, and the European Union helps them build illegally. If you travel there, you'll be amazed: The entire trip, on both right and left, is filled with illegal Bedouin settlements, stealing the land without a permit." Arzi also spoke about the Jewish town of Sde Boaz in Gush Etzion, in which four buildings are slated for destruction despite the fact that there is no Arab owner and the land has been in the process of classification as government land for over ten years. He slammed the Israeli government for dragging its feet and turning the issue into something endless. "If the State would not drag its feet, this land would be government land and we could build there legally. Because the government dragged its feet, these buildings are in danger of destruction," he said. Calling, as have the Jordan Valley Region head and others, on the Civil Administration to reorganize itself, Arzi said, "There are instances in which an organization, whether purposefully or not, ends up working in a faulty way. Sometimes you need to do deep reorganization, and sometimes you have to start again." "The Civil Administration is currently broken, and we need to fix it. We need to fix it properly, and the result will be better policies in Judea and Samaria, and certainly no discrimination."